What do you mean FULL treatment Kitty? well... it should say on the bottle something like: "continue treatment for *incert number* days" or something along those lines. what i mean is continue the treatment for however long it says. Just to let you know how things are going. The actual fish seem fine, growth doesn't seem to be getting bigger (or smaller) assuming I'm doing the correct treatment how quickly should it clear up? Don't put carbon back in until you have completely finished treating and have no more symptoms, or the carbon will just strip out the med before they can work on the fish. Do the instructions say something like, dose every 7 days until symptoms disapear and then for x days afterwards? Or do they just say treat a number of times? What's you kH like? if you are in a hardwater area, ignore this bit. Try putting either a shell, or better still, a peice of cuttlefish in. This will be the ideal buffer - and also snails will enjoy the cuttlefish - they chew on it to help build up their shells. Right I've done approx 25% water change and have put 20ml of "anti fungus and finrot" treatment in. (No. made by interpet. With the treatment (Esha) should the physical signs disappear or just stop growing? Mick I used the 1st treatment but things didn't really improve after about a week, I then asked for advice on here of what to do and was told the Esha was better stuff so bought some and have used that since. I can't remember if I did a water change between the 2 treatments but I can say I'm not using both at the same time. A while Kitty said she thought my tank was over stocked could this be the cause? If it is over stocked, which fish are best to be removed? mac, your obviously into live bearers and yes I would also say that your tank is over stocked. Remember it is not the volume of water that is relevant to what you can stock an aquarium with; it is the surface area that is important. The general guide lines are one inch (measured from the head to the caudal peduncle) of fish to twelve square inches of surface area. In the case of a 24"Lx12"Wx15"H it would mean that you could have 24 one inch fish. In the given example the surface area would be 280"<sup>2</sup>, divided by 12"<sup>2</sup> this will give you the answer of 24. So if you work out the surface area of your tank this will tell how many inches of fish you could/should have in there. I really cannot tell you which fish you should remove; that I think is your decision. One tip I can offer is whilst treating, stop feeding every day, every third day would suffice until your back in control. To find the surface area apply the first part of the formula above. By not using the pi factor you will find that this will accommodate the flat sides of your tank. If it was me i would remove the 6 platy's and possibly 3 cory's to a seperate tank , or just get a larger tank and use the 57L for a fry or QT tank. Just my feel, more then one way to skin a cat. 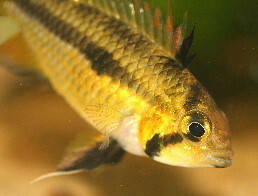 - guppies eat their own fry, platies don't... so if you seperate them and leave the platy fry with the parents from birth, they probably won't get eaten. Things pretty much the same in the tank, except for 1 of my peppered corys. Have come home from work to find it belly up barely alive So I've done the honourable thing and put it out it's misery (I never realised how hard it could be to do this to "a little fish") and I now feel very guilty. As far as I'm aware these are ok except for the ph which according to the leaflet with the test kit is a little low (It says 6.5 - 8.0 is perfect) I do have some PH up, should I use it or leave it or something else? IMO, you do need to up the ph some. Slowly as to not freak them out tho. Ive never had to up the ph so not sure how ph up works. Just read carefully. Hope all works out for you. Having to flush a fish is never easy, I make my husband do it and we all say a farewell as it goes. Well All seemed well but I've got home from work and 1 of the tetras mouths has a large white growth (approx a 5mm ball shaped) so what should I do? It seems to be swimming and eating fine. Do I try more Esha? I is it time for it go to the great tank in the sky? At the mo I haven't got my other tank set up so quarentining isn't an option. Assuming its cotton mouth is it contagious to the other fish? It could be one of these problems that Ive listed below. It is hard to tell without actual seeing it. I will check for pics of these out on the web to see if that will help. Mouth Fungus (Columnaris) It is usually found just around the mouth area, rarely spreading. The first signs are a thin white line around the lips, and then grows into white short tufts that resemble fungus. Early treatment is needed if you are going to save the fish's life, something to do with the toxins released and the fact that the fish eventually will not be able to eat. I have been told the best and most effective cure is to use Anti-Biotic. Penicillin is very effective at 10.000 units/L, with a second dose after two days. Remember to remove all filtration while you are dosing to avoid killing the beneficial bacteria. But then you said it had a ball shape to it so it could also be. Neon Disease (Plistophora)And it can affect all other tetrasin the tank and other species. The organisms lie in the muscle tissue in the form of cysts which burst and release spores, the spores then bore deeper in to the muscle. Eventually some of the spores will reach the water, fish poo. These then go on to infect more fish, usually by ingestion.